India vs Australia 4th Test Sydney: India wicketkeeper Rishabh Pant sure seems to have become a cult hero. India vs Australia 4th Test Sydney: India wicketkeeper Rishabh Pant sure seems to have become a cult hero. 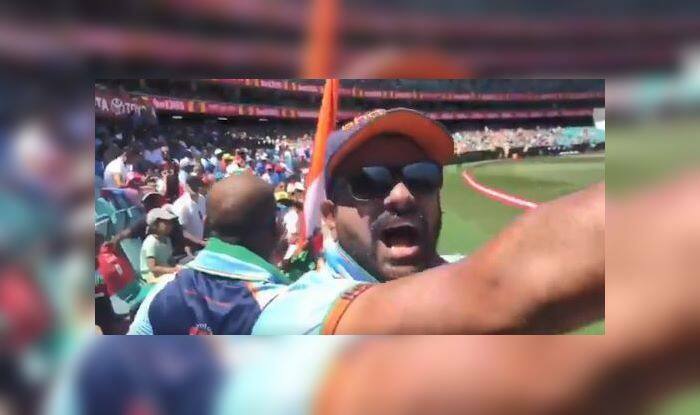 India’s official fan club Bharat Army made a special rendition for the young wicketkeeper with his babysitting act which stole the show at Melbourne Cricket Ground. The Baharat Army was heard singing the song aloud in front of Aussies who were also present in the stands at SCG, where the fourth and the final Test is taking place. They started singing the song while Pant was at the wicket with Ravindra Jadeja at the other end and he was inching closer to his second test century. Pant has had a series to remember as he has picked up more than 20 dismissals to go with 200+ runs in the ongoing four-match series. Earlier, it was Nathan Lyon who finally brought an end to Cheteshwar Pujara’s marathon 193. Pujara looked all set to bring up his fourth double century and that is when he was caught and bowled by Lyon. It was also Lyon’s 15th caught and bowled in his career. But the Indian innings was anchored by Pujara as he has done all through the Australian summer. At the time of filing the copy, India was 488/6 and Pant was on 87 along with Jadeja on 23. India would ideally be looking to get anywhere close of more than 500 before they declare the innings. India will certainly not look to bat twice in the Test match.